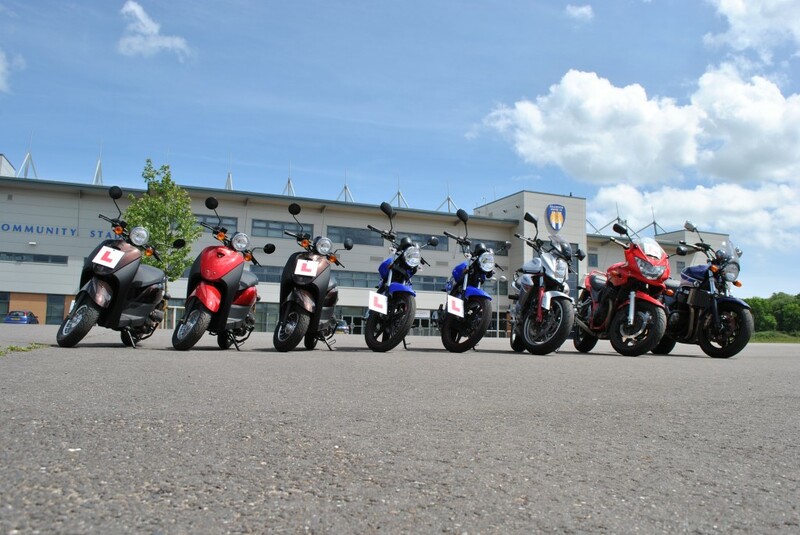 We offer bike/motorcycle training for new and experienced riders, in Colchester, Clacton, Harwich, North Essex and South Suffolk. We are based just off the A12 & A134 at North Colchester. 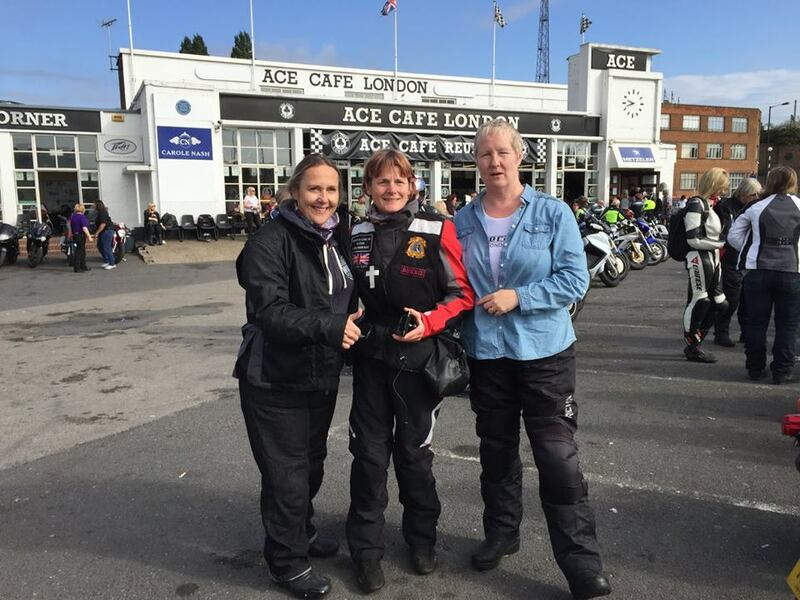 This is a family run motorcycle training business, run by Steve and Louise Cook, the biking tradition carries on in the family, with both children holding full motorcycle licenses (taught by Steve). We wont give you the hard sell for bikes, clothing and helmets or push motorcycle mechanic services on you, we just deliver high quality training tailored to your needs with a smile. Steve has been riding since he was 16 years old, with his first two wheels, a Honda SS 50, progressing to a GT 185 which was the love of his life. The biking passion has continued, whether on the road or off road. He’s been a instructor since 2009, deciding from day one that this was the job he loved doing. He’s also a member of several vintage trials bike clubs and can often be seen going ploughing up muddy fields in the interests of sport! 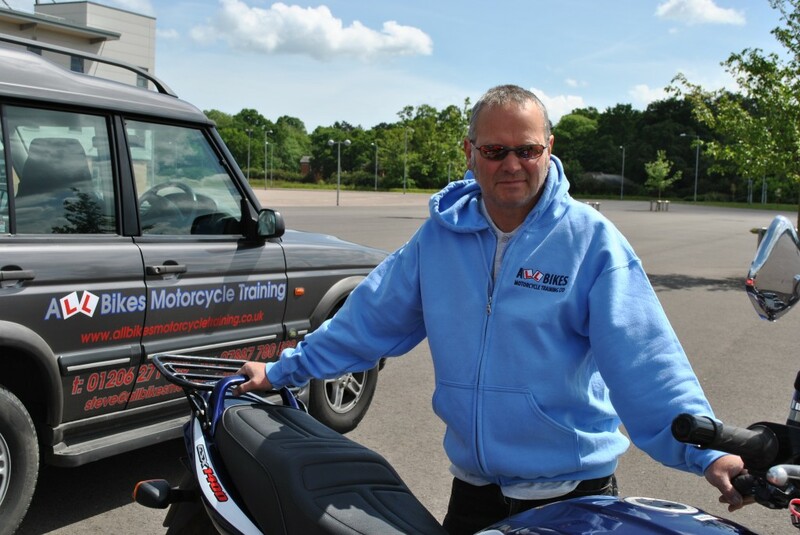 He has a lot of experience at both CBT and DAS level, has a fantastic pass rate, with 50% of the training package taking place in Ipswich close to the test center, enabling students to feel familiar and confident with potential test routes. 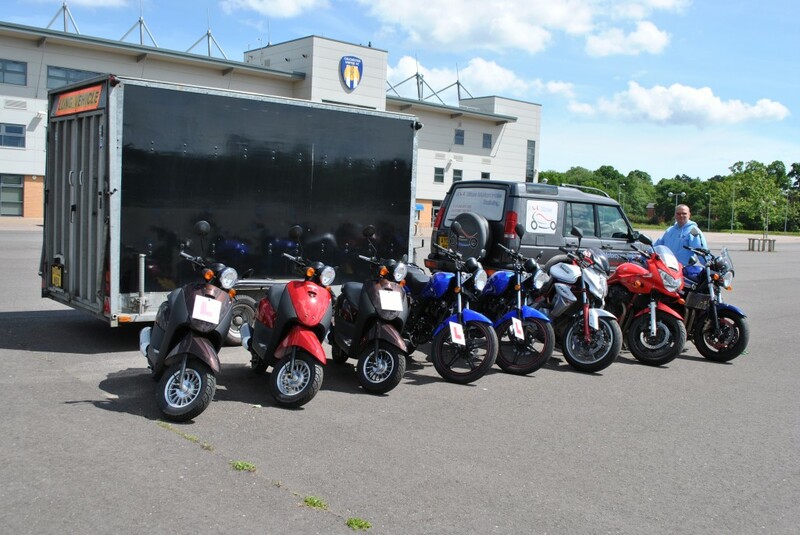 Our 50cc mopeds and 125 bikes are brand new and one of our direct access bikes has been specially modified to make it suitable for ladies, shorter people and those who feel confident when they can place both feet on the floor. It is light, manoeuvrable and easy to control for both mod 1 & 2 training. Our aim is to support and train you to our high standards, come and train with us, you will enjoy learning new skills to help you on the road. 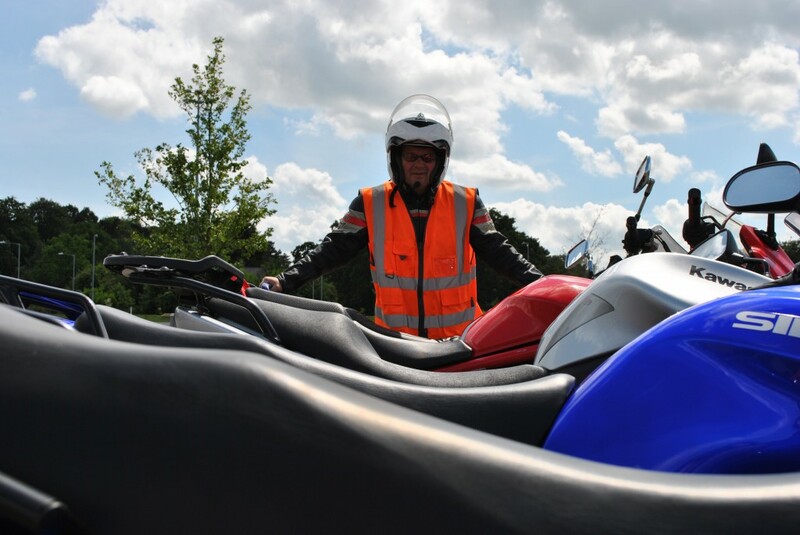 We want you to discover your inner biker with a smile, we promise to put the fun into your biking. Our clothing is new and maintained to high hygiene standards. Never rode a geared bike. Just a automatic 125 moped. With the brilliant tuition from Steve. 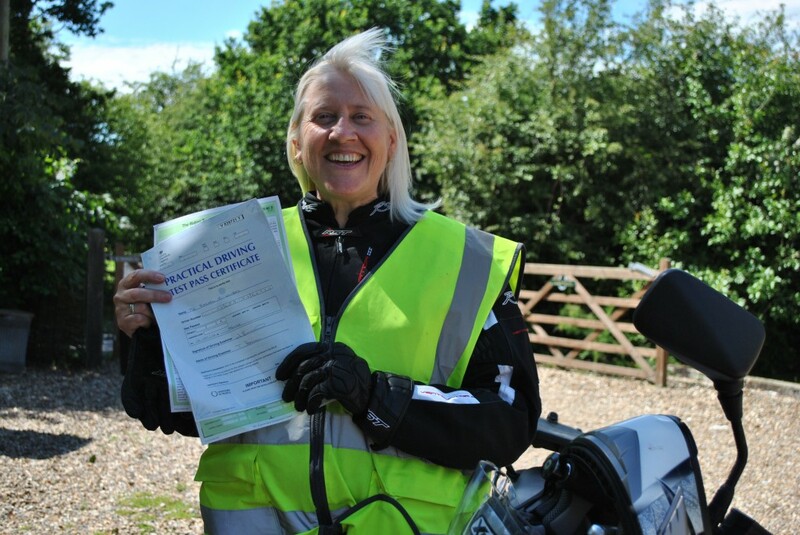 I have passed my full bike test. If you are looking to get your licence. Look no further than All bikes. I can't thank and praise Steve enough. A great instructor. With loads of patience. A family run business that has the riders best interests at heart. Thanks again Steve.